Online and throughout the UK, white wine remains ever-popular with wine collectors and investors. It is, however, only the most revered white wine estates at the very top end that demand a secondary market value. These high end white wines are generally associated with cooler climates, such as northern Burgundy. Whites are often characterised as being crisp and refreshing; in fact, they can taste utterly different depending on the variety, and can be robust, oaky, buttery, aromatic, tangy, floral — the list goes on. Unlike red wine, white wine is made only from the pulp of the grape, ordinarily from grapes that are green or yellow, and is fermented at lower temperatures. Dry white wine is the most commonly produced and is derived from the complete fermentation of the wort. Sweet white wine, on the other hand, is made by fortification — cutting short the fermentation process before the grape sugars have all converted into alcohol. 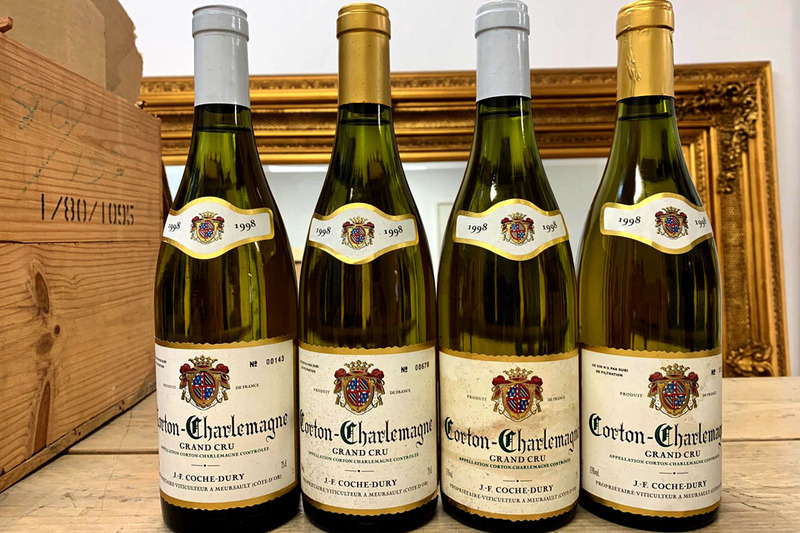 The vast majority of white wines are produced to be drunk within 2 years of production; however, at the top end, the kind of wines we love to buy, such as Montrachet or Corton Charlemagne, can age effortlessly for decades. We are particularly interested in Burgundian white wines from the following producers – Romanee Conti Montrachet, Coche-Dury, Drouhin Laguiche, Henri Boillot, Bouchard, Leflaive, Raveneau, Dauvissat, Comtes Lafon, Pierre-Yves Colin-Morey, Domaine William Fèvre. Because we’re buyers, not brokers, selling your white wine to The London Wine Cellar allows you to make fast, pain-free sales. We are particularly interested in buying fine white wines from the Burgundy region, but feel free to get in touch regarding any other interesting white wines you might have. We have years of successful transactions behind us, and have earned a reputation for providing competitive white wine valuations, excellent customer communication and a swift payment process. The process is easy from start to finish, and you can contact us for a valuation in a number of ways: call us, drop by our East London wine cellar, WhatsApp us pictures of your bottles or fill in our online form. Once we’ve agreed a price for your wine and had it quality-checked, we’ll swiftly transfer your funds.